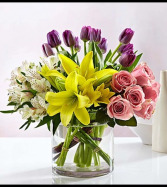 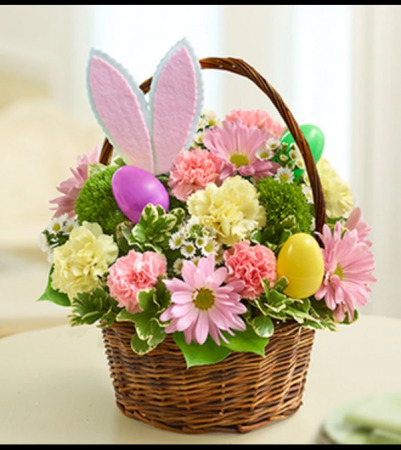 Share Easter smiles with this bright and beautiful basket arrangement. 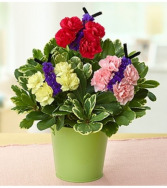 Ideal as a centerpiece for Easter celebrations, a fun hostess gift or to surprise friends and family, it’s hand-crafted with lively pink roses, trick green and pastel carnations and poms inside a seasonal handled basket. 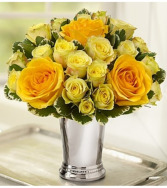 Small Size does not include roses.